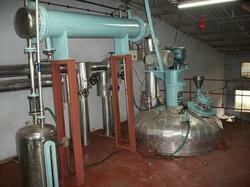 Known in the industry as a prominent manufacturer and supplier, we are engaged in offering Distillation Plant. 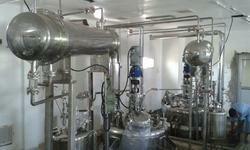 Distillation plant is a discontinuous batch unit which is normally used for recovering solvents from complex mixtures, usually present in the pharmaceutical industry. While operating under high pressure and under high vacuum, distillation plant provides a double or triple effect and encompasses the most sophisticated control systems. 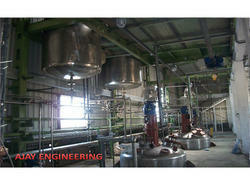 We are a leading manufacturer and supplier of Resin Plant. Resin plant is widely used for the manufacture of several kinds of industrial paints and emulsions and coating materials. With high efficiency, low power consumption, easy maintenance, resin plant is manufactured from high quality stainless steel with sophisticated technology by skilled personnel and comes with excellent construction and is highly reliable and safe to operate. Widely acclaimed as an efficient and effective manufacturer and supplier, we are engaged in offering Adhesive Plant. 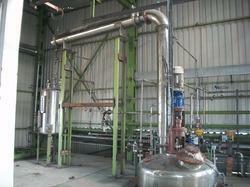 Adhesive plant is widely utilized for production of adhesives and PVA emulsion with very high capacity. Manufactured using sophisticated technology by skilled personnel from high quality raw material, adhesive plant is known for functional accuracy and dimensional stability while being highly durable as well.